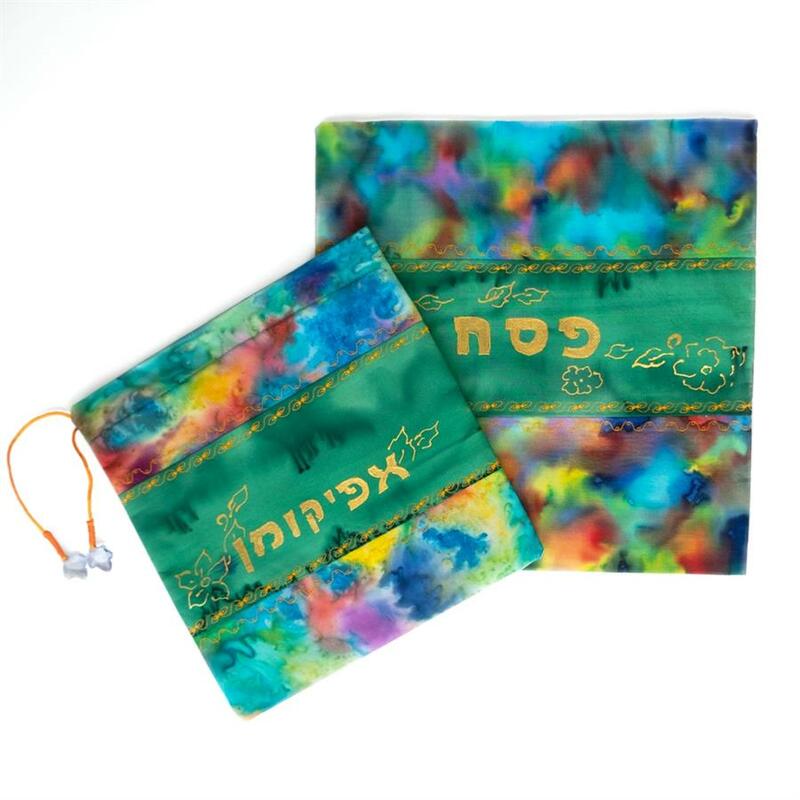 Colorful matza cover and afikoman set made with 100% silk. 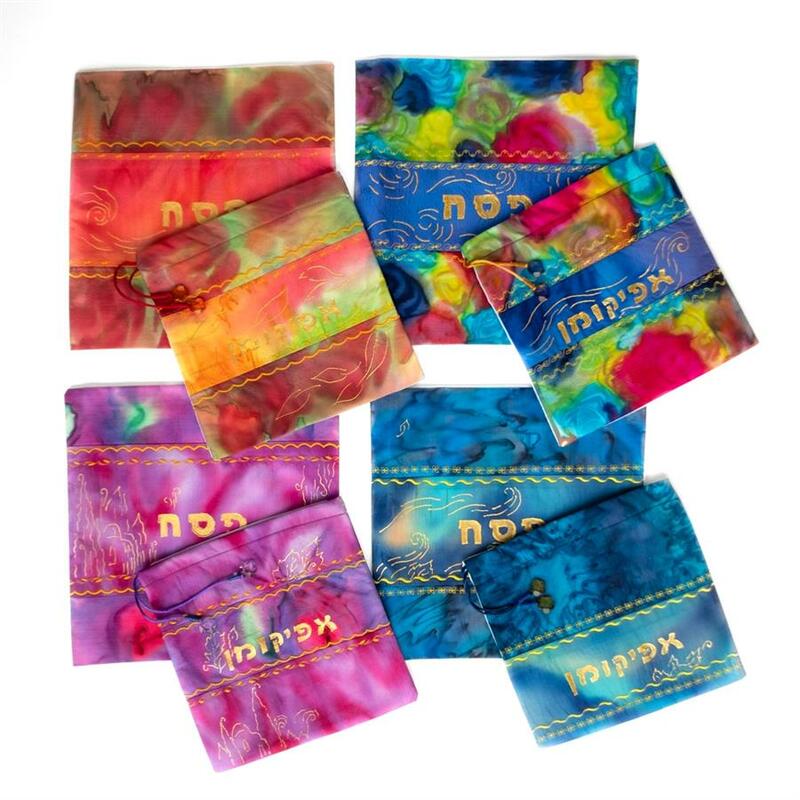 Inside the matza cover are three separate pockets for holding the three matzas traditionally used on the Passover Seder night. The afikoman bag is separate and may be tied shut. Fits a standard machine-made square matza. Set colors vary. We'll do our best to send the color most similar to what you choose. 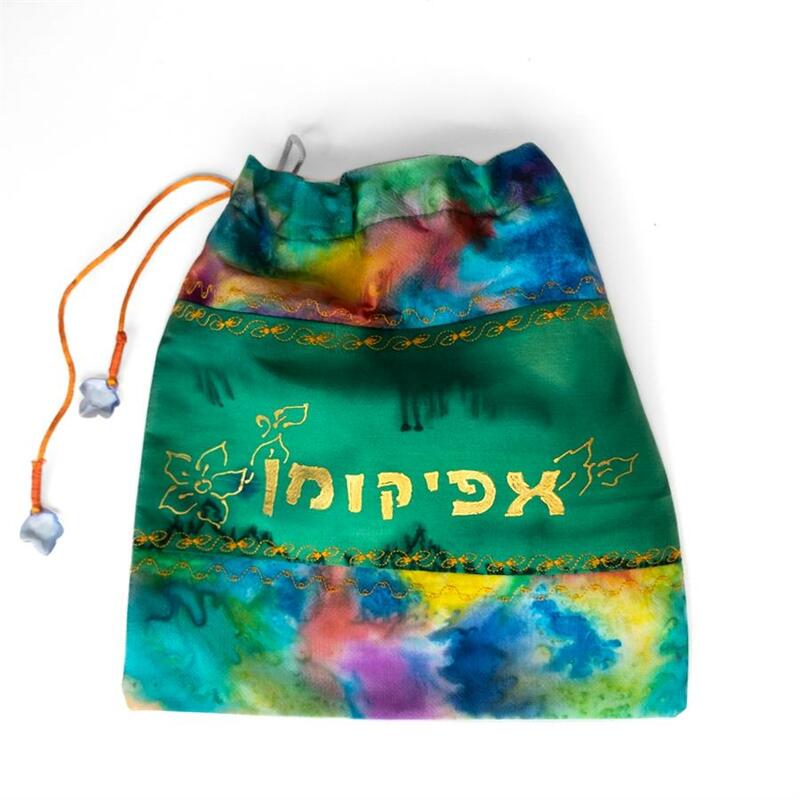 Matza cover is approximately 10" X 10"
Afikoman bag is approximately 8" X 8"